Westport, CT -- Adriana Calousdian is the newest member to join the Catamount Wealth Management advisory team as a Senior Client Advisor. Adriana is responsible for managing client relationships, assisting clients in achieving their financial goals and cultivating new relationships for the firm. She has over eight years of financial industry experience. 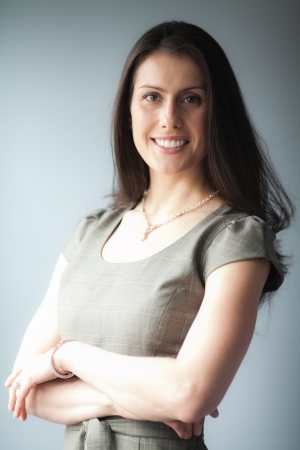 Adriana began her career at Merrill Lynch and Morgan Stanley and most recently, spent five years working on the Private Banking and Investment team at Merrill Lynch in New Canaan. She is a graduate of the Hopkins School and holds a Bachelor’s degree in International Political Economy from Fordham University in New York. Adriana holds FINRA Series 7 and 66 registrations and is fluent in French and Italian. She is a member of the Junior League of Greenwich and supports many other Fairfield County community and non-profit organizations. She is a native of Westport and now Adriana, her two boys and husband reside in North Stamford. Catamount Wealth Management is a S.E.C. registered, boutique investment advisory firm, located in Westport, Connecticut. As a privately held and independent firm, we are able to focus on our client’s personal interests, businesses and family’s goals. Our advisory team offers more than 35 years of investment management experience and the knowledge of numerous market cycles. Well-informed investors interested in a personalized approach and prompt access to their portfolio manager choose us to help achieve their financial goals. Fidelity Investments is our primary custodian. Our mission is to provide high net worth individuals and small businesses with flexible investment solutions that help create, build and preserve wealth. Our strategy is client-focused and disciplined while our approach to investment analysis is cognizant to the market’s behavioral cycles. Catamount customizes your portfolio with a diverse basket of individual stocks and bonds.